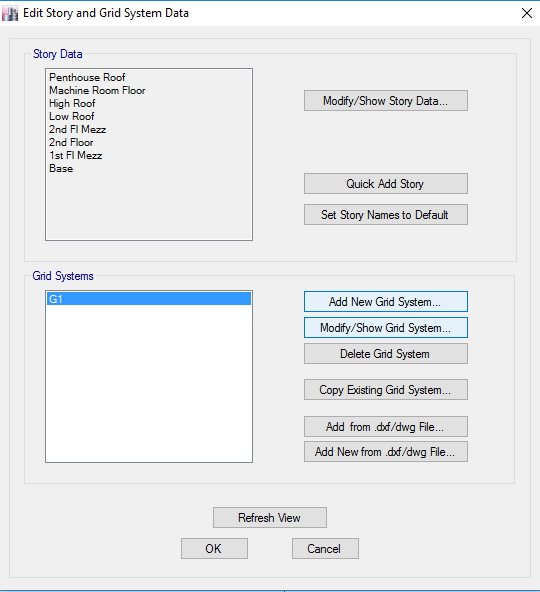 Click the Edit menu > Edit Stories and Grid Systems command to access the Edit Story and Grid System Data form. 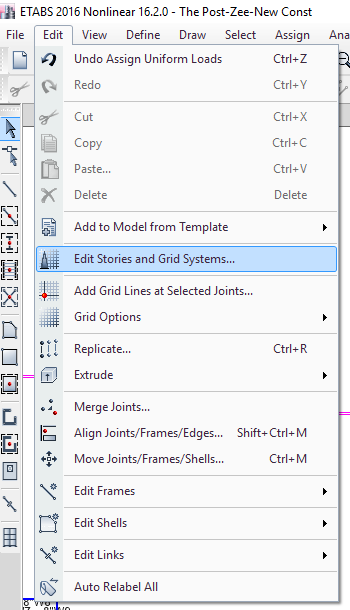 Highlight a Grid System definition in the Grid Systems display area. 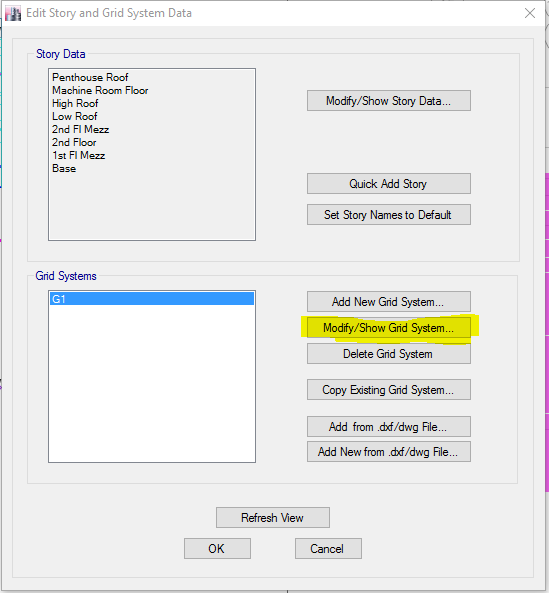 Click the Modify/Show Grid System button to display the Grid System Data form. Click the Reference Planes button in the Click to Modify/Show area of the form.